New it was a false flag..How thick are people and how asleep is the nation to keep falling for this crap..seriously ..wake up!!! DO YOU HAVE ANY IDEA HOW MANUFACTURED OUR REALITY IS? CAN YOU EVEN HANDLE THE TRUTH? The Chattanooga shooting inspired an influential former general to call for internment camps for thought radicals. Pretty outrageous, I know. 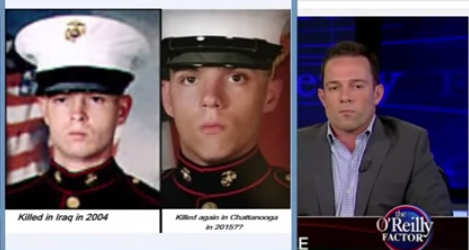 Imagine how sinister that agenda would be if the Chattanooga shooting is proven to be a scripted hoax? The establishment media is running dramatic stories of Lance Corporal Skip Wells’ last words to his girlfriend, but perhaps those last words were spoken in 2004. You know it’s true. They don’t fight for you.